SEAT is upgrading the appeal of its best-selling Leon with the showroom arrival now of a new 2012 SEAT Leon FR+ derivative, as well as the extension of the FR badge to a broader engine range.The changes mean the trademark sporty styling and sizzling performance of the Leon FR are now available to a wider range of buyers while equipment- and performance-hungry drivers now have the added option of the new, ‘ultimate’, 2012 SEAT Leon FR+.Designed to extend still further the appeal of the 2012 SEAT Leon FR+ trim level that, last year, was responsible for a whopping one in four Leon sales, the revisions see new engines added to the FR line-up.The exciting 2012 SEAT Leon FR+ hot hatch is now available as a 1.4 TSI 125 PS (manual only) or 2.0 TDI CR 140 PS (manual and DSG). The availability of lower-powered – but no less engaging – turbocharged petrol or diesel engines makes the FR range even more accessible to customers whose choices may be restricted by engine power, cost or insurance considerations.Bristling with sports styling and packed with equipment, the Leon boasts 2012 SEAT Leon FR+ front and rear bumpers, twin chrome exhaust pipe, trademark silver-painted door mirrors, stylish LED rear-light clusters, 2012 SEAT Leon FR+ sports seats and steering wheel, rear parking sensors, rain-sensing wipers, automatic headlights and auto-dimming rear-view mirror.Meanwhile, the new Leon FR+ is a significant step up from the ‘standard’ FR trim in terms of both performance and equipment. 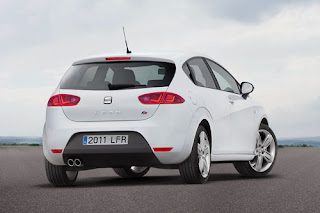 It’s available to order now with SEAT’s powerful 2.0 TSI 211 PS and 2.0 TDI CR 170 PS engines. 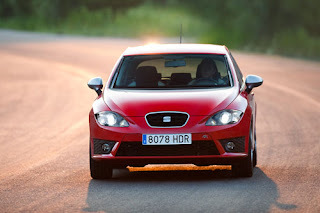 The 2012 SEAT Leon FR+ takes the FR trim and adds arch-filling 18-inch ‘Ibera’ alloy wheels; the SEAT Media System 2.2, which includes satellite-navigation with five-inch colour touchscreen and dynamic route guidance, DAB radio, Bluetooth audio streaming and SD card slot; Bluetooth phone connection; Bi-xenon headlights with AFS (Adaptive Front-lighting System) and front parking sensors. 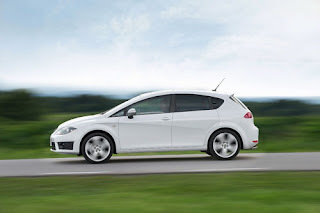 And the best news, perhaps, is that although the retail cost of this extra equipment when specified separately is £2,465 RRP, the price of the new Leon FR+ is up by just £1,070 RRP. So, just in time for the September sales surge, SEAT’s Leon FR line-up now starts at only £18,205 RRP for the Leon FR 1.4 TSI 125 PS, rising to £22,615 RRP for the lavishly equipped Leon FR+ 2.0 TDI CR DSG-auto 170 PS. 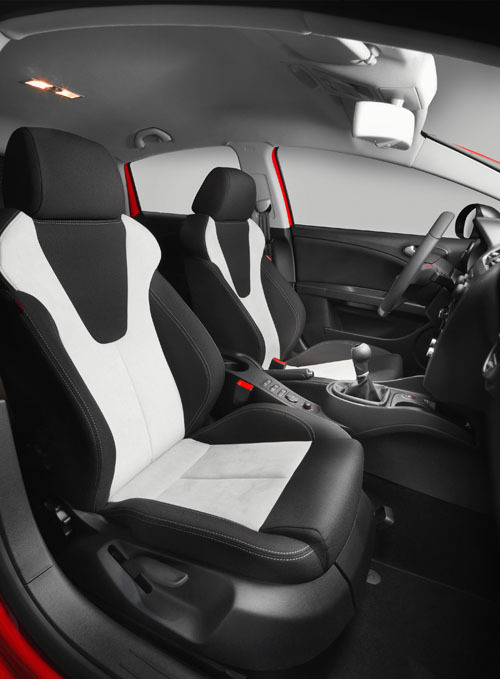 Finally, while the Leon Cupra has been withdrawn from the range SEAT has significantly improved the Cupra R trim by adding plenty of extra kit to this fire-breathing, 155 mph ‘halo’ model for no extra cost. Already loaded with luxury features, the latest Leon Cupra R now offers, as standard, SEAT Media System 2.2, Bluetooth connectivity, Bi-xenon headlights with AFS and LED rear-light clusters. This extra equipment is worth £1,665 RRP but despite its inclusion there has been no increase in the 265 PS Cupra R’s price. In fact, the price of SEAT’s most potent production car to date has actually been cut – by £10 – to £25,995 RRP! 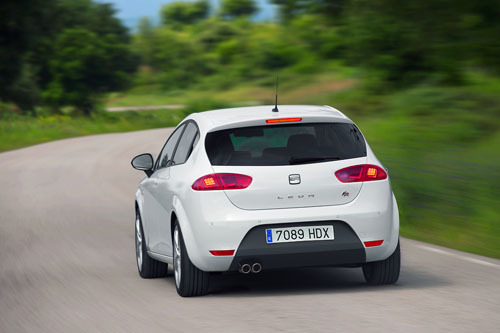 Welcoming the sporty new additions to the SEAT range Steve Robertson, SEAT UK’s Head of Marketing, said: ‘The 2012 SEAT Leon FR+ has been an important mainstay of the SEAT line-up for some time, so it clearly makes sense to maximise its appeal.